A quarter of the way into the F1 season and Felipe has scored two points. I’d wager that, armed with his droning ballad, Engelbert Humperdinck will score more points in Baku on the 26th May [that’s Eurovision by the way – ed]. With this, and another performance to forget, Massa Bashing is back. If I’m honest, there had been an article planned after Bahrain, but a combination of a points finish from Felipe and yours truly being abused by his day job – where Radio 2 and Engelbert are regular features – prevented its production. Following qualifying, a Ferrari spokesman told the Sunday Times that “We are disappointed in the outcome of Felipe but not with Felipe himself.” This, in response to an earlier “grammatical error” on the Ferrari twitter feed that had said the team were “disappointed” in Felipe. As a sense of humour goes, this is pretty fantastic – we are not quite sure what’s worse, disappointment in “Felipe himself” – the man – or disappointment in his outcomes. Hats off to the Ferrari twitter person and their PR, you made me chuckle. Of course, this only made me smirk at my hobbit-size kitchen table on Sunday morning because it eludes to the truth: Massa has been the pits. I’m surprised this ‘error’ hasn’t been made before. At the Catalunya Circuit the Brazilian scaled heights previously scaled at earlier races, finishing ahead of the ‘new teams’ only. 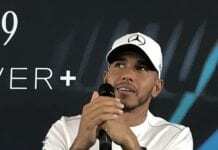 He qualified 17th (pre-Lewis infringement saga) – the worst of the Q2 performers – and succeeded in not being faster than anyone that had qualified above him during the race. His 15th place finish was awarded by way of Michael Schumacher’s increasing reaction times. To compare him with Alonso, he was 1.1 seconds slower in quali and 1 lap behind in the race. That’s right, he was lapped by his team-mate. This time, however, there is much that needs to be said in Massa’s defence. I think we’d all be kidding ourselves (and my F1 loving granny) if we thought that the developments Ferrari have made to their (unfortunately still dog ugly) car have been made to suit Massa’s style. The fact that he made a step backwards from where he was in Bahrain shows this. Indeed, he struggled to get on top of the car all weekend. And then there was the traffic he encountered on his flying Q2 lap. If you take away his drive through penalty, there’s still no way he would have been able to score a point. On the drive through, it didn’t come at the best time. 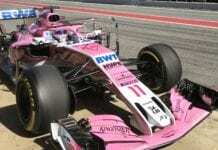 As he was about to pit – likely the lap that he took the penalty – he was forced to do an additional very slow in lap on worn tyres. “Small potatoes”, I hear you say. Fair, but it really hurt his track position as this episode dropped him to the back of the competitive field – a field that he had jumped on the first lap. And what a first lap! He masterfully moved from 16th to 11th, a position that, from the lap charts, looked like a likely finishing position had he drawn the stewards eye. With the way the cars have been eating there tyres when running behind each other this season, track position has become very important strategically, especially when, as in Barcelona, the DRS did not guarantee an overtake (take Rosberg’s valiant defence and the fact that Kamui and Vettel passed at rather odd corners as evidence). Nonetheless, raw pace was nowhere to be seen. After his last stop he remained in 15th place, behind all the competitive cars. And there he remained, occupying the position for 20 laps, unable to make use of the fact that he fresher tyres than all the cars in front of him. After Jackie Stewart shocked the motor racing world by endorsing Paul Di Resta, what do the reader’s think of him stepping into the Ferrari before year’s end? Although this Badger still wants to see the painfully hip Alguersuari in the Ferrari it’d be a pity to lose him from 5 live, he’s been fantastic. The TOP DOG for Abu Dhabi is..